The Tecnifibre X-One Biphase 1.30 tennis string has been designed to provide increased durability, superior power and control. This multifilament string provides good tension maintenance and a gut-like feel. It is composed of High Heat Capacity (H2C) fibres that provide superior feel and power, and Polyurethane fibres for shock absorption. 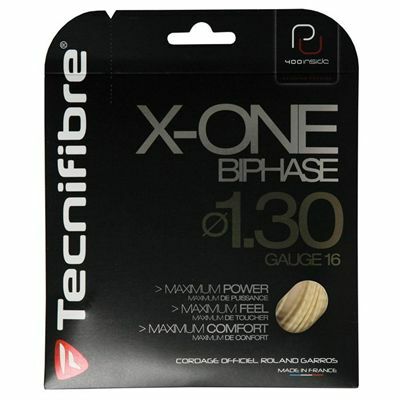 The string utilises the new Biphase process that increases durability by up to 20%. The Tecnifibre X-One Biphase has a 16 (1.30mm) gauge and is available in a 12.2m (40ft.) set. 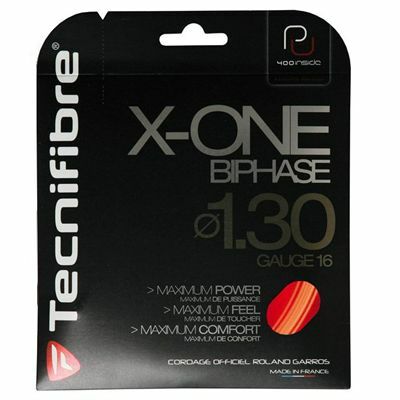 for submitting product review about Tecnifibre X-One Biphase 1.30 Tennis String Set.